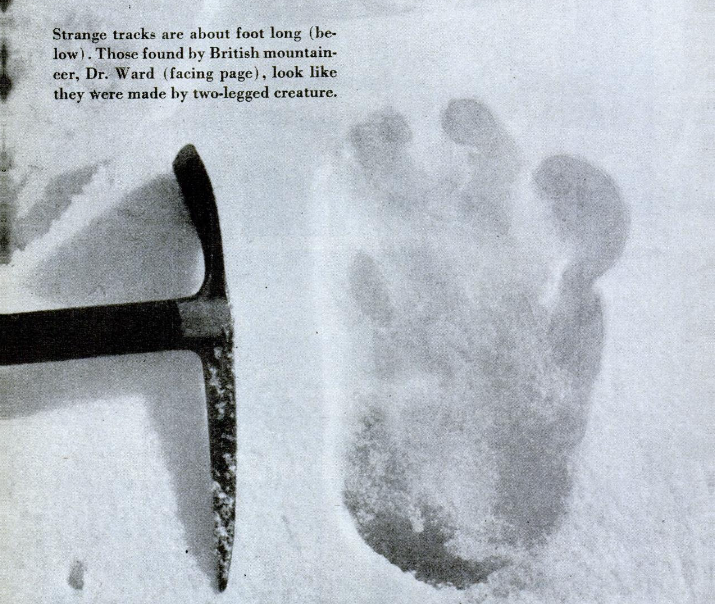 Yeti, the infamous Himalayan biped of legend, has been debunked. So say geneticists who published their research in the Proceedings of Royal Society B. An international team of scientists analyzed 24 samples of hair, bone, feces and skin. The reality is that samples of DNA supposedly taken from the Yeti are from the Asian brown bear, most likely a Himalayan subspecies. The legend of Yeti, or Abominable Snowman as it became known in the west, has persisted for centuries; it was even worshiped as the god of the hunt by pre-Buddist peoples inhabiting the Tibetan Plateau. The lore captured western imagination in the 1950s when European mountaineers began their famous assents of Himalayan peaks. Suspected bits and pieces of the Yeti including alleged footprints [photo] and sightings were collected over the years, but there was never any documented proof of its existence. The scientists led by Tianying Lan of the University at Buffalo in New York, write in their report, “we unambiguously show that this sample is from a bear that groups with extant Himalayan brown bear.” One studied 'Yeti' hair sample held by a museum actually belongs to a dog. The team goes on to say, “This study represents the most rigorous analysis to date of samples suspected to derive from anomalous or mythical ‘hominid’-like creatures, strongly suggesting the biological basis of the yeti legend as local brown and black bears,” This is he second genetic study of alleged Yeti samples, the first completed in 2014. That investigation also concluded study samples belonged to a bear. Chalk another myth lodged in man's archaic collective unconscious exploded by science. Next stop on the train to rubbish: 'Merica's analogue, Bigfoot.